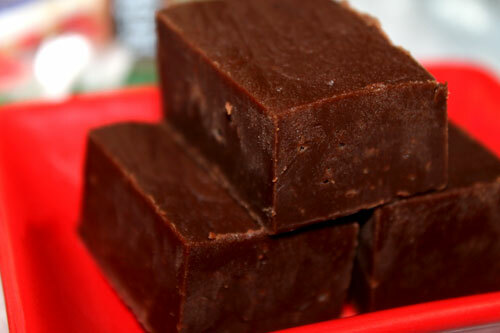 This fudge is so easy to make, this recipe is a keeper. Plus, it has the flavor of Nutella; so it ranks very, very high in book. Simple and highly addictive – a must try!! 6. Cut into chunks and enjoy! 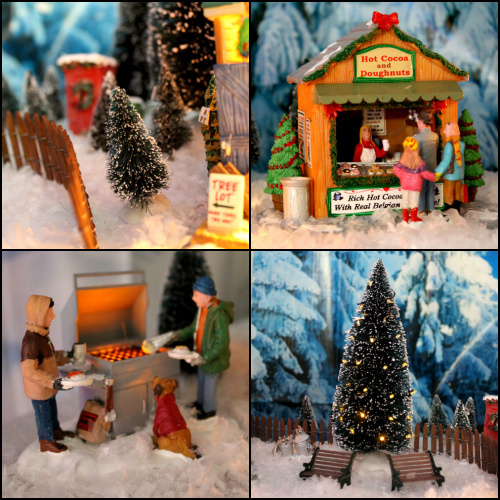 Last week one of my long-time dreams came true… I got the first pieces to my very own Christmas village! 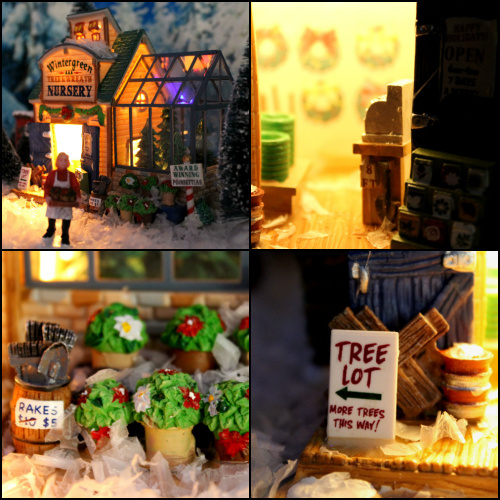 I have always loved the little villages that I see people create during the holiday season. Every one of them unique, I have yet to see two alike as the combinations of the countless buildings and accessories are limitless. For $100 at Kmart we started our own little Christmas village, check it out! 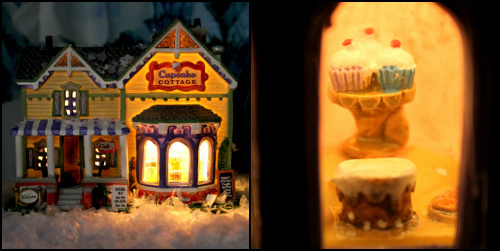 Last but certainly not least is the Cupcake Cottage. Today's specials are Pumpkin Muffins and Dark Roast Coffee! I am already excited to set this village up again next year. Each year we add to our Christmas decoration stash - so I will make sure to add at least one piece a year. 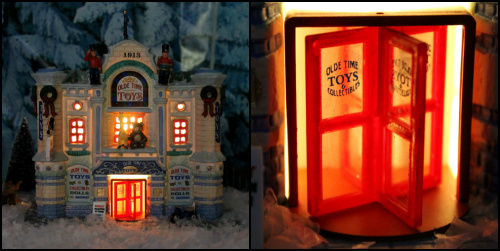 Hopefully one day when I am old and grey I will have acquired an entire Christmas town! Christmas is so magical and this Christmas village honestly adds to the magic. Everything purchased for this village is Lemax brand with pieces from their Coventry Cove line which can be found at Kmart - check out everything they have online here. After seeing the village at GoPo's many years ago,we started a village to. We have ours under our christmas tree, and I love it. Of course we have no little one arounds to want to play with it. First of all, LOVE the idea of nutella fudge! Yum :) Second of all, your village is beautiful. We have a huge village we set up every year too. It's a very special tradition! Fudge looks good. I'd like a piece. Nice pictures. The fudge looks delicious and congratulations on your first pieces of your village! My mother has one and the first piece was all it took....she has a TON now! how cool...i love those villages too...wasn't this fun??? happy holidays...i am going to try that fudge!!! Awww, what a cute little Christmas village. Looks like you guys got it at an outstanding price as well. That photo of the Nutella fudge has been tempting me from my blog roll all week and I just had to click through to see the recipe. Easy as easy can be! I am totally going to make this fudge. You don't have to heat up the kitchen to make it either. Good one! Ooooh my - that looks to die for! Creamy and hazelnutty and mmmm. What a temptation! yummy yum yum!!! can't wait to try it :D thanks! Yummy fudge and cute village! Happy holidays!! !